Friday was a gorgeous day so Kevin and I decided to walk around the West Loop after work. 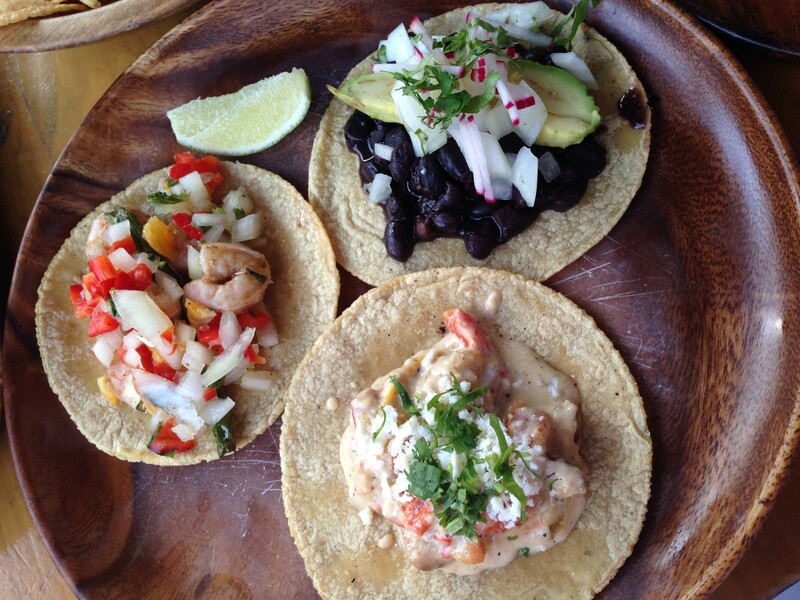 We stopped in at De Cero on Randolph St. to grab some tacos for dinner. I had a black bean taco, a potato and roasted pepper taco, and a shrimp taco which I ended up giving to Kevin. I thought the tacos were just ok, but Kevin liked his and said he would go back. After dinner we headed home and did some research online for our car shopping the next day while watching Modern Family reruns on tv. We started our day with some coffee and more car research. Before heading out for the day, we also got out all of our sweaters and boots out of storage and did a little cleaning around the condo. We cleaned out our current car and took it get appraised for a trade in value. We spent all afternoon at CarMax looking at different options, but ended up not buying anything that day. Hopefully in the next couple of weeks we will find something we want. After car shopping, we headed to downtown Naperville (we were out that way) to check out the new J. Crew store. 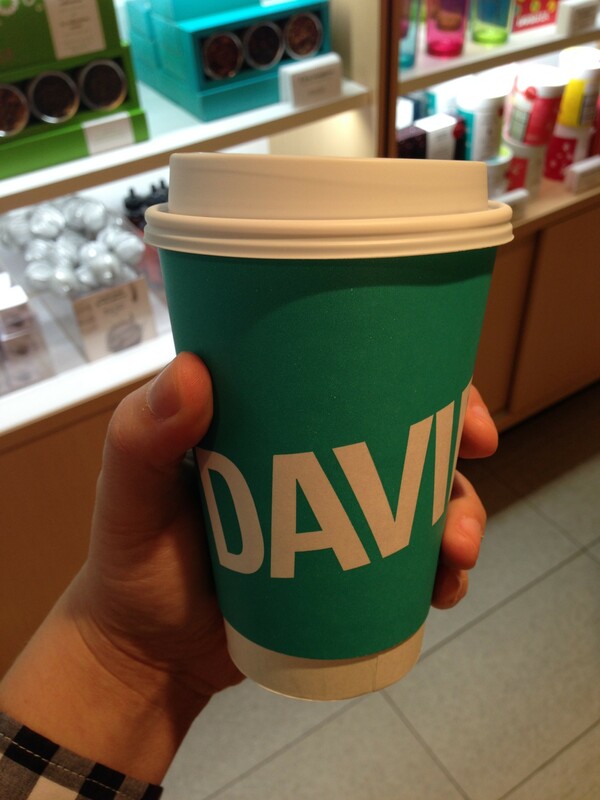 We stopped in David’s Tea and did a little shopping. Saturday was Kevin’s dad’s birthday so we met his parents for dinner at Texas Roadhouse. I can’t even remember the last time I had eaten there and now that I am not eating meat, I was a little concerned what I would order. Luckily, they had a veg plate where you could just pick four different sides so I had a side salad, baked sweet potato, broccoli, and carrots. Pretty random, but it worked! 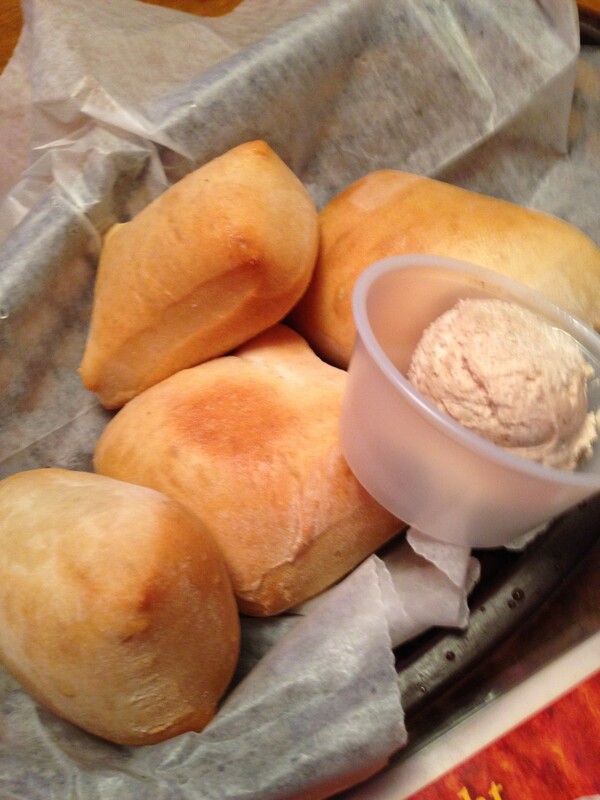 Oh and don’t forget the rolls! After dinner we headed over to his parents’ house for birthday cake and ice cream. We started our morning at church and then headed to Blue Door Farm Stand for lunch. Blue Door is one of my favorite lunch spots! 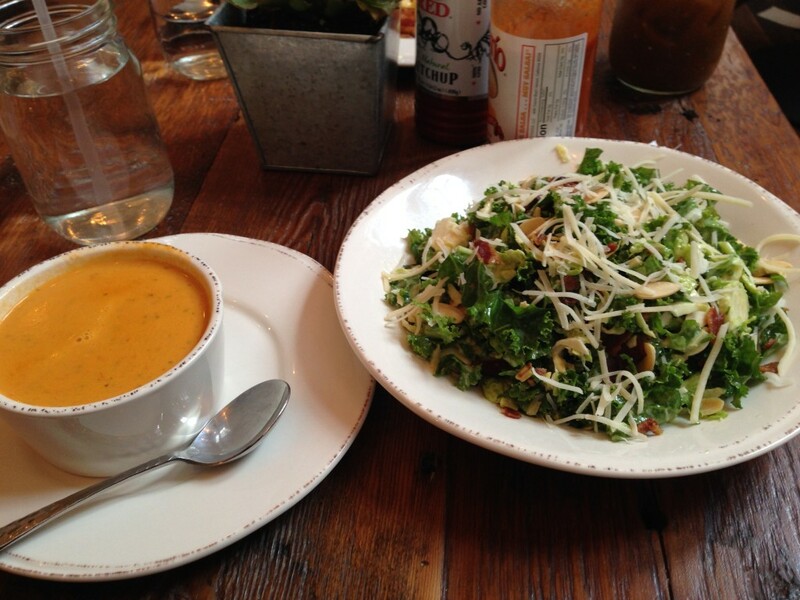 I ordered the kale and brussels salad with a cup of the cauliflower and squash bisque – the perfect fall day lunch! 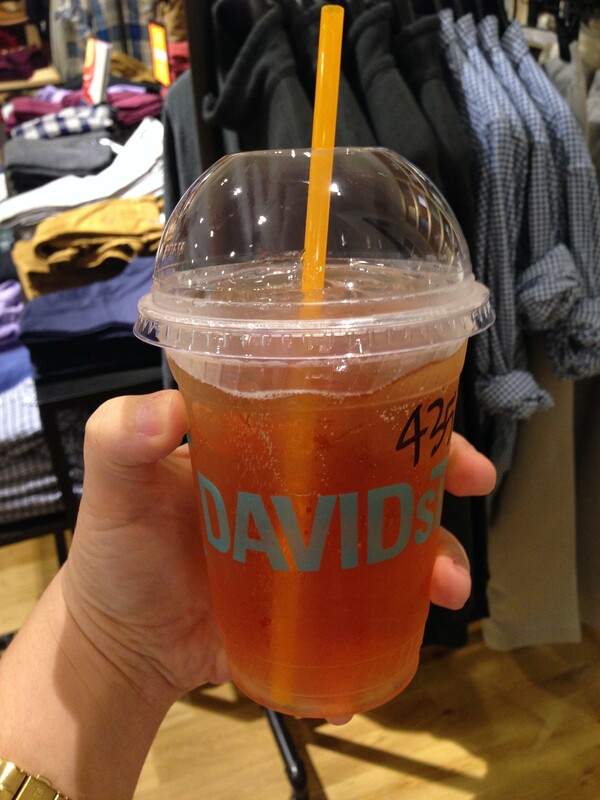 After lunch we made another stop at David’s Tea. This time I went with a hot cranberry tea which was perfect the cooler weather. We headed home after lunch and I did some grocery shopping while Kevin did homework. I watched a couple episodes of Brothers and Sisters on Netflix and finished the night with the season premiere of The Good Wife. Linking up with Meghan and Biana. All the tea and getting your sweaters and boots out has me so jealous – you guys are already enjoying fall! Agreed – every once in a while a low key weekend is the best!! How’s the weather been in DC? Still warm? Hey! How long have you gone without meat? I know that it’s been a bit over a year for me. I miss certain things, but now I genuinely find meat substitutes ( like the veggie meatballs at Trader Joes) taste exactly like meat to me! Hey Katie! I stopped eating meat about a month ago. The last meat I ate was the steak at our anniversary dinner. I’ve been eating lots of veggie burgers – I’ll have to try the meatballs from TJs! Yay! 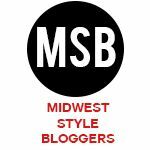 Next time you guys visit Cincy I can show you all my favorite veggie places. Also, this is random but when I get rice or mac and cheese when I’m at a restaurant I always ask I it’s made with chicken stock, because often times dishes listed in the veggie section have some animal product. Also, I’m still searching for a decent veggie replacement for pulled pork/ BBQ son please let me know if you find one! Finally, lentils make killer subs for ground beef. Awesome! Yeah, we’ll definitely have to check out the veggie places in Cincy! I’ve found that using quinoa in chili gives the same texture as ground beef. I will have to look for a vegetarian sub for BBQ.